Discussion and debate with LaCol, Cooperativa d'Arquitectes. a+ Col·lectiu and ACVic Centre d’Arts Contemporànies, invite you to the second discussion-debate regarding the Adoberies de Vic. This time around, we would like to zoom in on proposals which focus upon social innovation, by taking advantage of LaCol's wide experience. We will have an opportunity to talk about new forms of cooperativism and collaboration current in architecture and urban planning, and also about the potential for citizen participation in urban transformation. 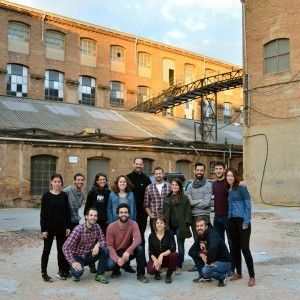 LaCol is an architects' cooperative from Barcelona which takes a participatory, horizontal and fair approach to projects, as they define the terms. This distances them from traditional architecture of a personalist and technical nature, so they might bring themselves closer to social concerns and needs, becoming more proficient in establishing standards with which to define objectives and strategies, as well as to give shape to specific projects. In accordance with these principles, LaCol is currently occupied with the urban planning process at Sotstinent Navarro Street, and with the Pla d'Habitatge de Barcelona in Nou Barris, to take two examples of their activity.